The story made national news: over 80 students and staff from Prussing Elementary School on the Northwest Side went to hospitals on October 30 because of carbon monoxide exposure. The official word is that the school boiler was the culprit, specifically a faulty gas regulator. There are a lot of questions which still need to be answered about the boiler. For two and a half years, administrators at Prussing have reported problems with the boiler. While none of those issues suggested the potential for a carbon monoxide leak, the trail of complaints is lengthy, and Chicago Public Schools officials have been put on notice that the school community expects a decision to come down this week that the boiler will not be "fixed" yet again, but outright replaced, and soon. The other immediate issue raised regards the school carbon monoxide detectors, or the lack thereof. How did CO levels get so high without any alarm going off? The boiler room at Prussing was equipped with a detector. At this time, it is not clear why it did not go off. But the situation begs the question of why a school with 700 children had only one detector in the first place. As it turns out, there are some answers to be found in state law and Chicago building code, and they're not that great. For a city which prides itself on the most stringent fire codes in the country, the city code regarding carbon monoxide detectors is inadequate, and it is clear that CPS protocols regarding detectors don't even yet exist. At this point, I need to be clear that I am not a bystander in the situation. As a community representative on the Prussing Local School Council, I was at the school on Friday within an hour of the Chicago Fire Department arriving. For a couple of hours, I was standing at the corner of the school lot where news crews had assembled and a couple of hundred parents and community members had gathered, trying to understand what was going on. Some of the parents were very angry about the insufficient communication. The parents I remember, though, weren't the angry ones. One mother in particular was terrified, not understanding what was happening, not understanding what questions to ask. Chicago Public Schools officials from Central Office should have been right there, but instead I was the closest thing to a school official amid the parents. But of course, the communications issues are secondary to the situation having occurred at all. On Monday night our LSC held an emergency meeting, with an auditorium packed with parents. Many of the parents had heart-wrenching stories of the experiences of their children. All of the parents wanted to know what was going to be done to prevent something like this from happening again. Some CPS officials were on hand, but the two main officials CPS sent who could speak to the boiler and carbon monoxide detectors were completely inadequate, incapable of providing sufficient answers. CPS CEO Forrest Claypool was not among the officials on hand. One piece of information that did come out is that there is a new state law which goes into effect on January 1, specifically regarding carbon monoxide detectors in schools. The suggestion was put out there that since the law isn't in effect yet, CPS hasn't complied with it yet. Let's set that timing issue aside for the moment, though. 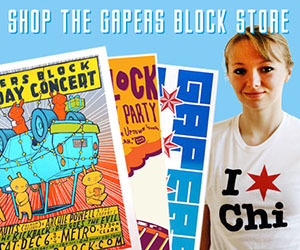 My thinking, and the thinking of several other people in the room, was that Chicago municipal ordinance should have had something relevant to say about this. After all, the city famously has extremely stringent fire codes, dating back to the Great Fire of 1871. Surely the state law would just be redundant. Some background on the state law is in order. In August, Gov. Rauner signed House Bill 152. Similar versions of this bill had introduced in 2013 and 2014, but the circumstances had changed. On September 15, 2014, a carbon monoxide leak at North Mac Intermediate School in downstate Girard sent 181 students and staff to area hospitals. Legislators from the Girard area then championed the legislation, which passed the General Assembly in June. The [Chicago Board of Education] shall require that each school under its authority be equipped with approved carbon monoxide alarms or carbon monoxide detectors.... Alarms or detectors must be located within 20 feet of a carbon monoxide emitting device. Alarms or detectors must be in operating condition and be inspected annually.... A school must require plans, protocols, and procedures in response to the activation of a carbon monoxide alarm or carbon monoxide detection system. 18-28-1013.1 Carbon monoxide detectors shall be installed in accordance with for Residential or Institutional Occupancies covered in the above sections. 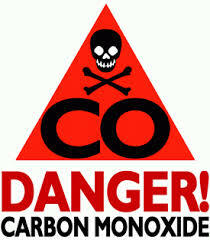 A carbon monoxide detector shall be installed in every room that contains a fossil-fuel burning boiler or water heater. 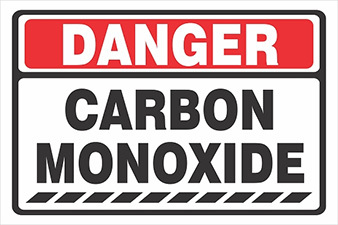 A carbon monoxide detector shall be installed in unit immediately adjacent to or one floor above any room containing a fossil-fueled burning boiler or hot water heater. The "above sections" pertain to an article named "Boilers, Water Heaters and Pressure Vessels." A school would be an "Institutional Occupancy." The typo in the section is glaring, as it says "in accordance with" but then didn't say with what; but this would probably just refer to the method of installation, i.e. powered by battery or by direct connection to building power. Based on the information provided at the LSC meeting, it is not clear whether Prussing was in compliance, because the ordinance requires not only the placement of a detector in the boiler room, but also in "unit immediately adjacent." Prussing is such an old building that the boiler was originally coal-fired and is located in an out building, connected to the main school building by a tunnel. Is the tunnel a "unit immediately adjacent"? Is the main building as a whole a "unit immediately adjacent"? The section at hand is too vague, and clearly was not written with a building layout like Prussing's in mind. The new state law doesn't especially help, either. The only additions the state law provides are a requirement for annual inspection, some language about how such units would be powered, and a requirement for "plans, protocols, and procedures" in the event that an alarm goes off. It should be stressed here that there is a huge difference between what needs to happen when an alarm goes off and what needs to happen when no alarm goes off and students begin passing out. In reaction to the CO incident, CPS went ahead and installed nine CO detectors at Prussing on Monday. While many parents expressed the opinion that all classrooms should have detectors, the relevant ordinance and the state law coming online provide context for how far apart the wishes of parents and the actual relevant laws are. Prussing opened in 1927, but it is far from the oldest school in the city. Numerous Chicago schools do not have any kind of central heating and cooling system, having relied for decades on radiant heat supplied by a large boiler system, and in more recent years by air conditioning units installed room by room (as occurred at Prussing last year). The boiler system at Prussing dates to the school's construction, and this too is hardly uncommon in the city. As noted above, numerous complaints about the boiler system at Prussing had been made over the last couple of years. It is likely that there are similar issues at other buildings, where very old boilers are in need of outright replacement, not just perpetual patch-and-cross-your-fingers solutions. One other related situation which should now come into focus is that Chicago schools no longer have full-time engineers on site. Prussing's school engineer, for example, covers two schools. Boilers are large machines. Things can happen which can cause them to malfunction. It should be considered inexcusable that there not be an engineer on site when the school is in full operation. But not only were engineer positions cut in recent years by CPS, they were also outsourced to Aramark along with custodial services. Neither school engineers nor custodians actually report to the school's principal. This situation deserves a more in-depth look on its own, but it must be mentioned alongside the CO detector issue and the failure of CPS Central Office to properly deal with the boiler. But, again, industrial boilers are large machines, and a lot of things can go wrong with them. This is why having appropriate laws and protocols in place governing safety are so essential -- and this is why the combination of Chicago city ordinance, state law and CPS policy is clearly inadequate. The City Council should immediately consider amendments to the Building Code providing for clearer instructions about the number, placement, and inspection of carbon monoxide detectors in facilities like schools. Chicago Public Schools should go a step further and ensure that not only are carbon monoxide detectors in place in every boiler room or equivalent location, but that multiple detectors are installed in every school building which contains a potential CO producing source like a boiler. (Not all buildings will have such requirements; for example, the mobile units in use at Prussing and other schools are entirely electric-sourced for heating and cooling, and such sources do not produce carbon monoxide.) In addition to installation, clear district protocols for annual inspection of such units should be in place. If the CPS Director of Facilities, when speaking to a room of angry parents at an emergency meeting, is incapable of addressing something as simple as inspection protocols, then that is a huge problem which must be addressed at once. CPS also needs to deal with the engineer and custodial situation. As has been widely reported in the last year, custodial cuts have left numerous schools insufficiently clean. The engineering cuts got less attention, but that is because there had not yet been an incident like the one at Prussing to help shine a light on this absurd policy. Engineers and custodians should not be outsourced personnel, and should instead report directly to school principals, or at least as a matter of policy co-report to principals as well as supervisors downtown or at the network level. Staffing levels should be restored to pre-Aramark levels. The money question should not even be raised here. All of the above are safety issues. If money needs to be moved around to address these issues, I can recommend several places to find the money. If the Board can see fit to approve new unnecessary charter schools which take money away from neighborhood schools, clearly there is actually money there, regardless of what else they might say. They should also slash the funding for all of the advisors for the nonsensical Neighborhood Advisory Councils, which are clearly just expensive sham operations since the Board doesn't care what local residents think anyway, given that new charters are still being approved. As for Prussing's boiler, there are dozens of angry parents preparing to show up at the Board meeting on Nov. 18, and they all expect that a new boiler installation will be underway by that point. 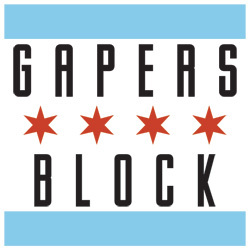 In the long run, installation of a new boiler will almost certainly save money anyway, and with a recent $25,000,000 capital levy to tap, there can be no excuse for CPS not taking action this week to get started on a new installation. The questions about why it took an incident like this to truly get the attention of Central Office are not so easily answered are not likely to go away any time soon. I, for one, will keep pushing that point, and I anticipate there will be several upcoming FOIA requests regarding the Prussing boiler and why more decisive action was not taken in the last two years.